Before the summer season ends, herewith one tip for an interesting day trip from Zell am See: visit Hitler’s mountain retreat in Bayern. This chalet- structure erected on a peak of the Hoher Göll was built in 1938 by Martin Bormann as an extension of the Obersalzberg complex erected in the mountains above Berchtesgaden. The Kehlsteinhaus was intended as a 50th birthday present for Adolf Hitler to serve as a retreat, and a place for him to entertain visiting dignitaries. 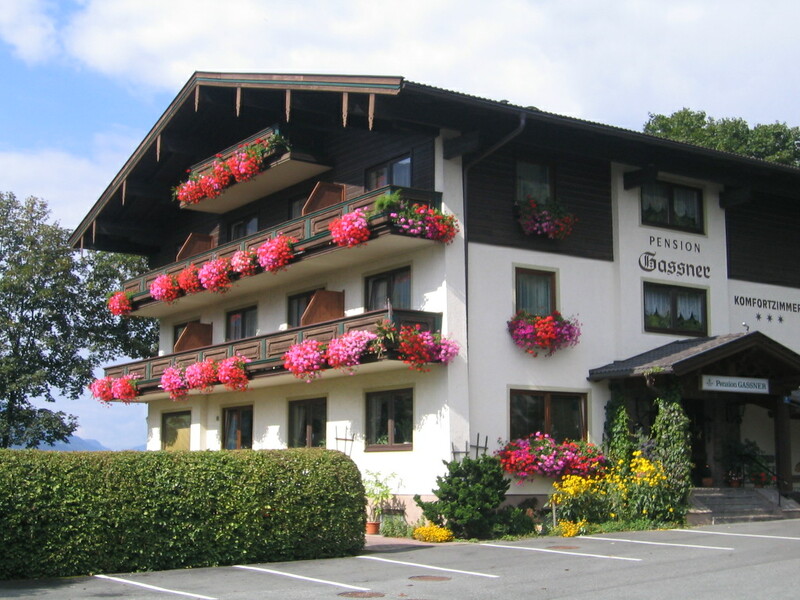 The Kehlsteinhaus was commissioned by Martin Bormann, with construction proceeding over a 13-month period. It was completed in the summer of 1938, prior to its formal presentation to Hitler on his 50th birthday on April 20, 1939. It is situated on a ridge at the top of the Kehlstein mountain 1,834 m (6,017 ft), reached by a 6.5 km (4.0 mi) long and 4 m (13 ft) wide road that cost RM 30 million to build (about 150 million euros in 2007, adjusted in line with inflation). It includes five tunnels but only one hairpin turn and climbs 800 m (2,600 ft). The last 124 m up to the Kehlsteinhaus are reached by an elevator bored straight down through the mountain and linked via a tunnel through the granite below that is 124 m long. The inside of the large elevator car is surfaced with polished brass, Venetian mirrors and green leather (the elevator is still used daily). Construction of the mountain elevator system cost the lives of 12 construction workers. The main reception room is dominated by a fireplace of red Italian marble, presented by Mussolini, which was damaged by Allied soldiers chipping off pieces to take home as souvenirs. Much of the furniture was designed by Paul László. A significant event held at the Kehlsteinhaus was the wedding reception that followed the marriage of Eva Braun’s sister Gretl to Hermann Fegelein on June 3, 1944. The event was filmed and amongst others Martin Bormann can be seen there. The building is often mistakenly referred to as a “tea house”, a corruption of its abbreviated name, “D-Haus”, short for “Diplomatic Reception Haus”. As a result it is frequently confused with the tea house at Hitler’s Berghof, the Mooslahnerkopf Teehaus, he visited daily after lunch. Although the site is on the same mountain as the Berghof, Hitler rarely visited the property. 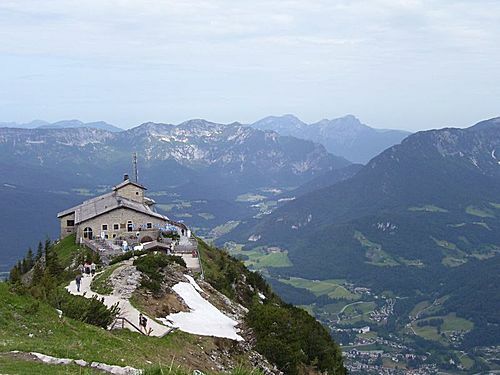 It has been suggested he only visited the Kehlsteinhaus around 10 times, and most times for no more than 30 minutes. He received André François-Poncet (the departing French ambassador to Germany) there on October 18, 1938.